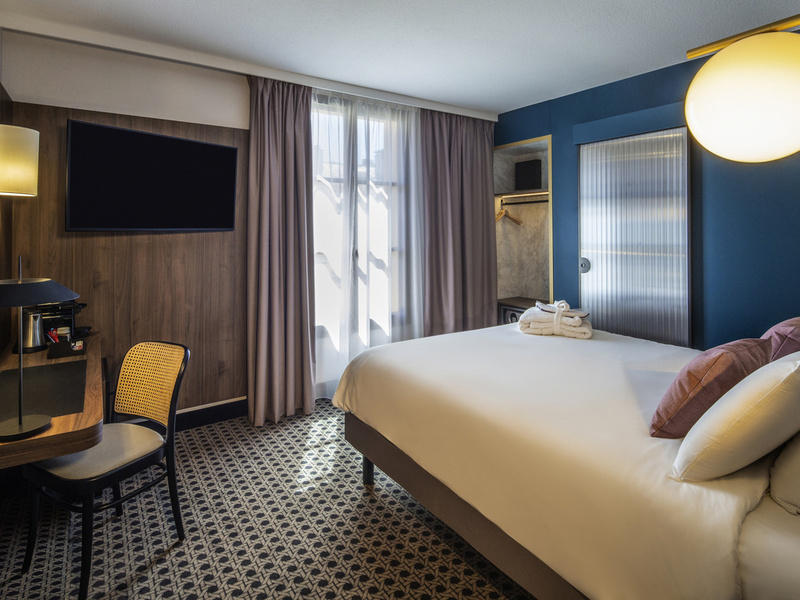 Situated right in the heart of the business district, the elegant Mercure Versailles Château has a modern interior with a warm, welcoming feel. Its contemporary, air-conditioned rooms are perfectly suited to the needs of families or business travellers. W ithin easy reach of Versailles' 3 stations with transport links to Paris and its airports, this charming hotel is an ideal destination whether you are planning a business trip or city break. Make the most of your stay at Versailles by choosing the room type which suits you from Standard, Privilege or Family, which can accommodate up to 2 adults and 2 children.